Rare skills, specialist knowledge and some of the oldest wisdom in the world of whisky have been passed down through the generations by our master craftsmen. It has started in the same way for over 125 years. 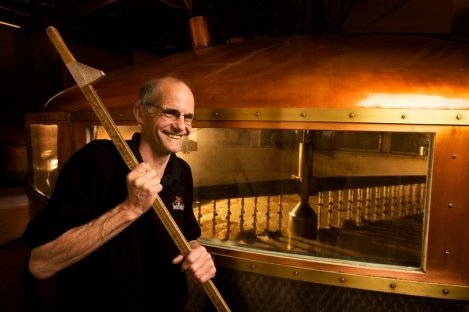 With a keen eye, our mashman into the mash tun. 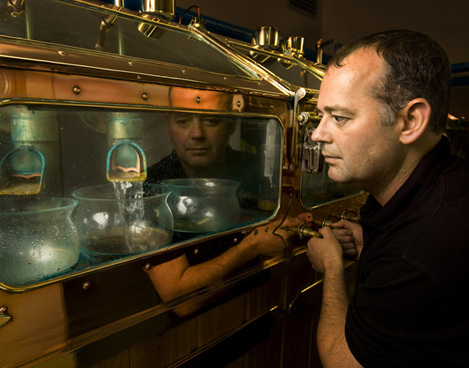 A mixture of our specially-sourced barley, ground down and added to our Robbie Dhu springwater, is heated to 64°C. The porridge-like ‘mash’ turns to sugar, dissolving into a fine sweet, tangy liquid called wort. The wort is drained, cooled and passed into our Wash Backs, where yeast is added and fermentation begins. The mashman records the temperatures, volumes and sugar gravities of each Wash Back up on the chalkboard - just as his predecessors have always done. Barley from our specialist maltsters is ground into rough flour and mixed with heated Robbie Dhu springwater. This thick brown porridge-like mixture known as ‘mash’ is emptied into our giant mash tuns. Rotating mash knives lift the mash, encouraging the barley starch to convert into fermentable sugars. The Robbie Dhu springwater absorbs these sugars and after six hours, a dark syrupy liquid called ‘wort’ is obtained. The wort is drained and cooled to 17°C. This cooled wort is pumped into giant wooden fermentation vats – our handbuilt Douglas Fir washbacks. Yeast is added. The temperature soars as fermentation takes over and the sugar is converted to alcohol. This is where our characteristic pear notes are created. As the temperature dies down after two to three days, a rich brown ‘wash’ of up to 9% ABV is left, ready for distillation. Our wash is heated and condensed in copper Wash Stills for its first distillation, and a second time in Spirit Stills. With exacting judgement, using a hydrometer, our Stillman executes a high ‘cut point’. He turns the tap on to the spirit safe to the precise point we always have - a point set by our founder over a century ago. The newly distilled spirit flows in – the very ‘sweetest’ part of the distillate. Characteristically clean, estery, sweet and fruity. It’s about 70% ABV and ready to be matured. We keep the shape of our copper stills strictly identical to those first used when our distillery was founded. Copper is a soft, malleable metal that needs care, time and generations of cultivated understanding. Since 1957, we have had specialist craftsman onsite tending to all 28 of our uniquely shaped and sized copper stills. This tradition is important to us and contributes to a superior tasting whisky – and that’s why we’re one of the very few distilleries to still do so. Following fermentation, the rich brown wash runs into our wash stills. Here it is slowly heated, almost to boiling point, causing the alcohol to vaporise into the narrowing still neck. The vaporised gas is guided down by a water-cooled condenser. This liquid is about 21% ABV, and known as the low wines. The low wines are heated and condensed again in our spirit stills. 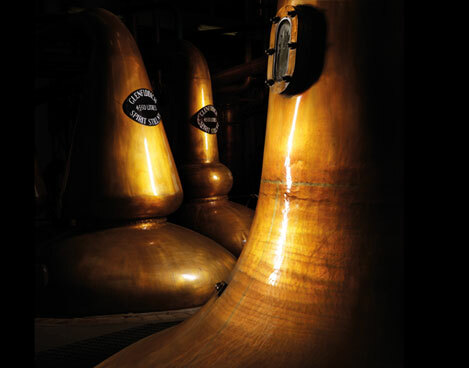 Unusually, to preserve the character of our whiskies, we use two differently shaped spirit stills. And bring together their distillates equally. At an exact point in the distillation, our high cut point is executed. The very heart of our distillate – clear, light and fruity – is captured. This ‘new make’ spirit trickles into the spirit safe, ready for maturation. The distillate that is not deemed pure enough, called the ‘feints’, is redistilled. 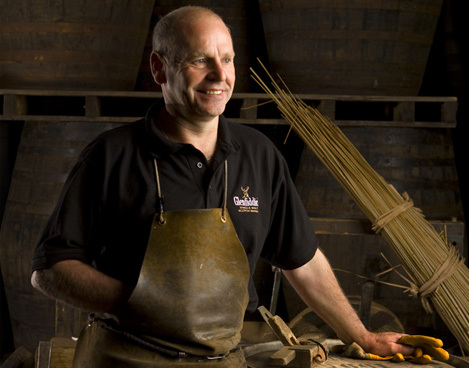 Our long-serving Head Cooper builds, mends and chars our casks with centuries-old knowledge and tools. At our onsite cooperage, one of the only remaining, he works alongside his team of highly experienced coopers tending to around 126 casks every day. It’s a great responsibility to be working with the oak that will give as much as 65% of our whisky its flavour as it matures. Warehouses stacked with casks of gently maturing single malt Scotch whisky are watched over by our experienced warehousemen. Checking casks for leaks, taking samples for our Malt Master and keeping a watchful eye over our marrying process; they call on our expert coopers if there’s a problem. Ever watchful, they keep our Malt Master up to date with the precious, ageing malts. 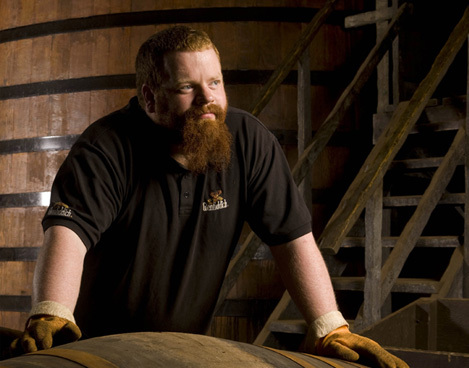 The finest American oak and Spanish Oloroso oak casks are hand selected by our Head Cooper. The casks are mellowed by years of previous use. The American oak once held bourbon. The European oak held fine sherry. Our oak is toasted or charred to caramelise its wood sugars and open up the oak’s flavour-giving properties. Robbie Dhu spring water is added to our new-make spirit to 63.5% alcohol, and our casks are filled. Casks spend long years in our dark, damp warehouses, breathing in Highland air. Maturing a single malt imbued with the character of our glen. Watched over by our warehousemen, our casks wait patiently until they are primed for bottling. 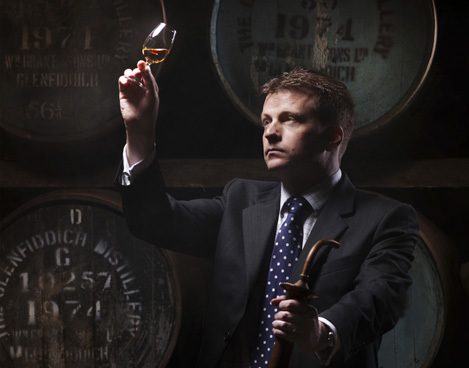 Innate skill, drive and dedication underlie a Malt Master’s ability to nose, taste and develop exceptional whiskies. Generations ago, our Malt Masters introduced marrying to smooth out fluctuations in flavour naturally occurring in maturing whiskies. Once whiskies have reached maturity, they are combined in oak marrying tuns. Here, spirits from different casks mellow and gather great consistency and harmony until our Malt Master decides they are ready for bottling. This knowledge has been passed down by Malt Masters through the ages – so you can enjoy over 125 years of wisdom in every glass. When they have reached the desired maturity, selected casks are emptied into large, Portuguese oak marrying tuns. They rest there with whiskies of the same age or older for up to nine months mellowing and building smooth, harmonious consistency. Some expressions spend a few months in virgin oak casks or casks that used to contain other alcohols, before marrying. There they gather intense aromas and flavours, giving them their characteristic finish. Robbie Dhu springwater is added to create just the right alcohol by volume for each expression. The now fully crafted single malt is bottled.